As the neural tube matures and diversifies during the development of a human embryo, it gives rise to the two core parts of our central nervous system: the brain and spinal cord. 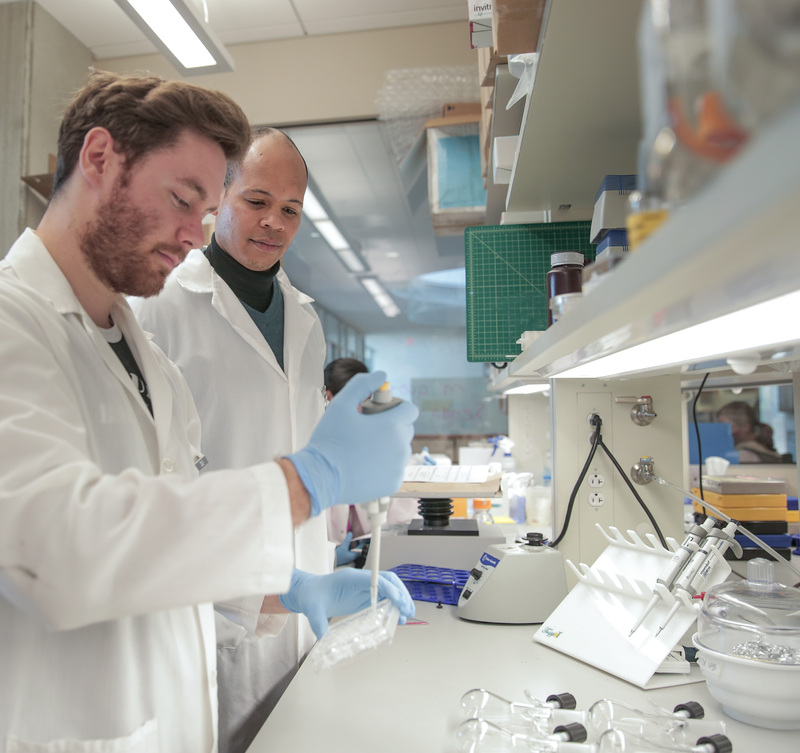 By replicating this process in a dish, Ashton hopes to develop a platform for research that is highly reproducible and can be broadly disseminated. Biologists could simply add their cells to Ashton’s starter tissue to build a model of whichever spinal cord disease they desire. By starting with cells from an individual patient, researchers will be able to target disease therapies to a particular genetic background — a concept known as personalized medicine. Drug tests in engineered spinal cords may become an intermediate step between animal models and clinical trials of patients affected by Lou Gehrig’s disease, multiple sclerosis or spinal cord injuries, helping to bridge the differences between a human and rodent spinal cord. The recipe Ashton and fellow UW–Madison engineering professors Lih-Sheng (Tom) Turng and David Beebe plan to follow to coax stem cells into forming a neural tube goes something like this: First, they use water-soluble Lego-type molds to create microscale cavities within a jelly-like substance. Then they add human neural stem cells into these cavities, and let the cells coalesce as they do naturally to form neural tube-resembling tissue. Next, they add signaling molecules whose variable concentration instructs the stem cells to turn into different types of neurons and neuron-supporting cells. Last comes the greatest challenge: getting these specialized cells to connect to one another and form electric circuits that give the spinal cord its function. Ashton’s CAREER Award will also fund educational activities that range from expanding outreach programs for underrepresented minority K-12 students, to creating a website and exhibit for the public, to educating Madison-area high school teachers about tissue engineering. Ashton, who is African-American, comes from a socially active family background — his grandfather was a minister and president of the Virginia chapter of the NAACP. He has assisted the nonprofit group 100 Black Men of Madison with its K-12 mentoring programs for years. He plans to use the new grant to develop virtual interactive lab experiments and matching teaching modules.